Phoenix L. Quetzal DeLeón is a Board Certified Structural Integration Practitioner, a Certified Advanced Rolfer™ and Rolf Movement® Practitioner, as well as a NCBTMB and CAMTC approved Massage Therapist. 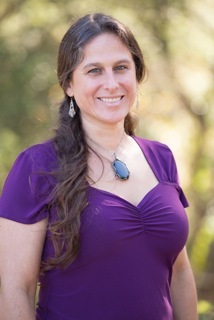 She has been in private practice for 12 years, and offers both Rolfing Structural Integration and Massage sessions at her office in Santa Cruz, CA. Phoenix is also a faculty member at the Dr. Ida Rolf Institute where she teaches Basic Rolfing® Certification classes. Additionally, she teaches workshops on a range of subjects, including movement, body awareness, structural integration, and couples massage, and has been a guest instructor at Cabrillo College in Aptos, CA. Phoenix’s career in bodywork began in 2004, when she moved back to her hometown of Kailua, on the island of O’ahu, to attend an intensive Massage training program at the Hawaii Healing Arts College. 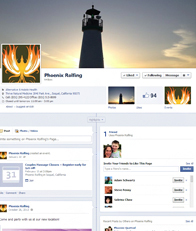 While studying at HHAC, Phoenix was introduced to Rolf Structural Integration, and started receiving Rolfing. She was greatly inspired by the positive changes that Rolfing effected in her body and mind, and decided to pursue a Rolfing Certification at the Dr. Ida Rolf Institute. During her years of basic Rolfing® study, Phoenix practiced as a Massage Therapist in California, Arizona, Colorado, and Montana. In 2007, she completed her basic Rolfing® & Rolf Movement® Certification in Brazil, and in April of 2012 she completed the Advanced Rolfing® Certification in Bali. Continuing education is an important aspect of Phoenix’s practice, and she has rounded out her Massage and Rolfing® training with a variety of other classes, including Reiki, Biodynamic CranioSacral, and Visceral Manipulation. Between her Rolfing® and Massage trainings, and continuing education, Phoenix has logged over 3,000 hours of bodywork class time. (Click here for a complete list). Because there is a widespread belief that Rolfing® is a painful modality, Phoenix takes pride in helping her clients understand that the “no pain, no gain” attitude of decades past no longer serves as a standard in Rolf Structural Integration. Phoenix adapts her touch for each client, tailoring both Rolfing® and Massage sessions to suit each client’s needs. She especially enjoys working with clients who are interested in developing a new level of body awareness, and who want to be free from pain and discomfort in their bodies. Phoenix welcomes people from all walks of life in her practice, and feels that no one is too young or too old to benefit from the healing that hands-on work can provide. In her free time, Phoenix surfs, cycles, and works in her garden. She is a strong supporter of local foods, farms and businesses, and enjoys the simplicity of living lightly on the earth.